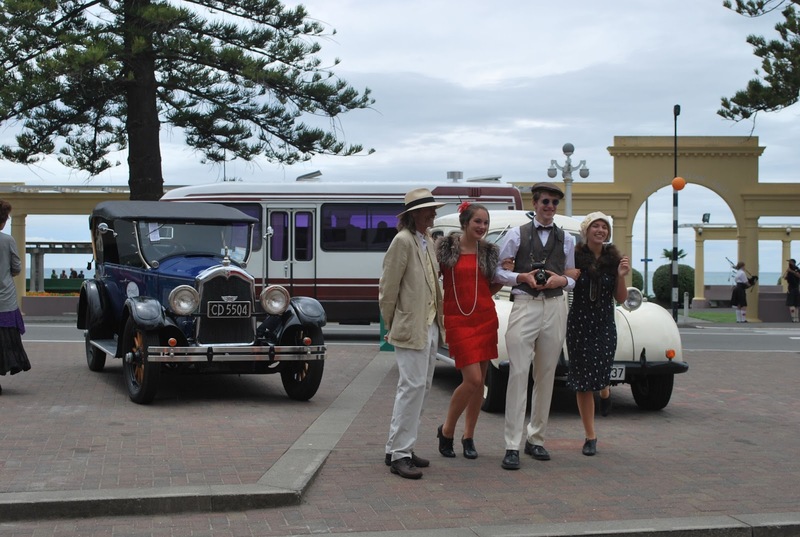 Wellington Open Day is back and entry to participating attractions in Wellington was just a gold coin. That's one or two dollars! 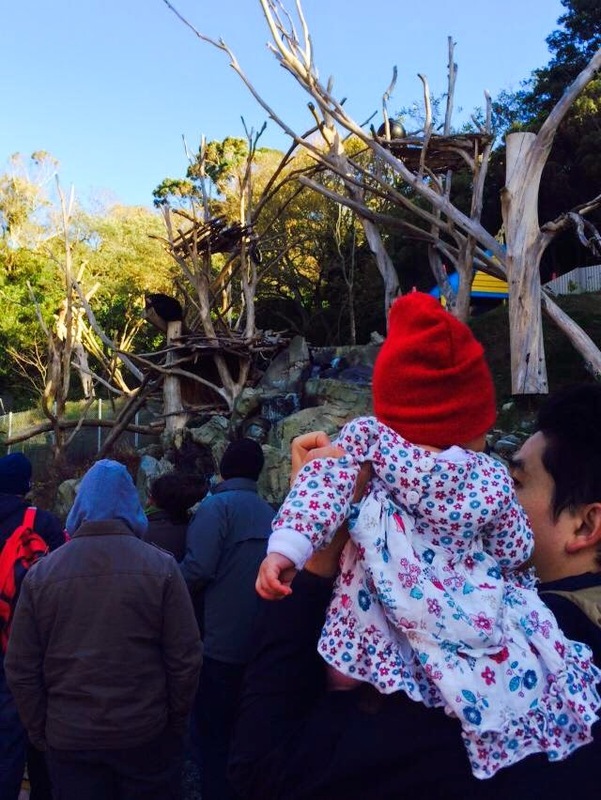 The Open Day is such a great idea because it gives everyone the opportunity to visit the different places of attraction around town, without having to worry too much about cost. This year, there was quite an extensive list of places that we could choose from. 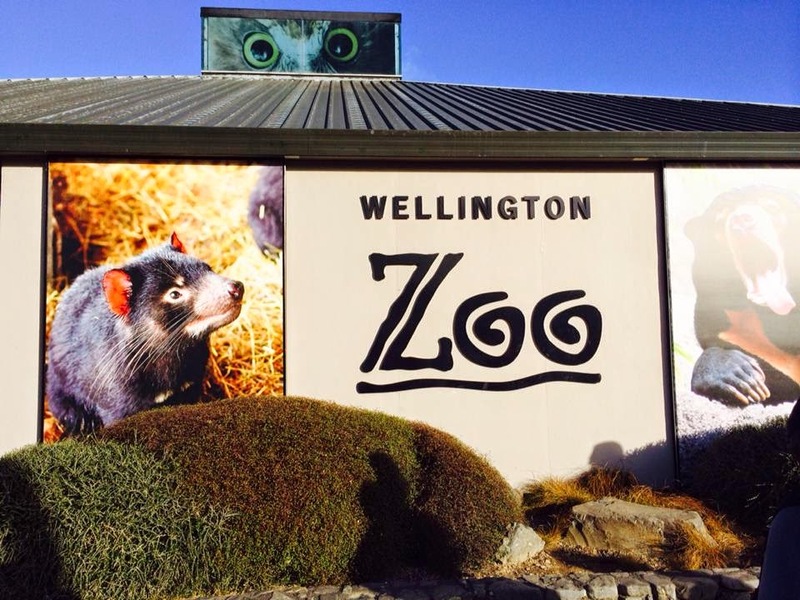 We could have taken the scenic cable car ride or explore one of the many museums in Wellington. We could have gone to the Carter Observatory to gaze at the stars or hike along Zealandia to the sights and sounds of the protected wildlife sanctuary. We were spoilt for choice but our final decision was easy and unanimous. 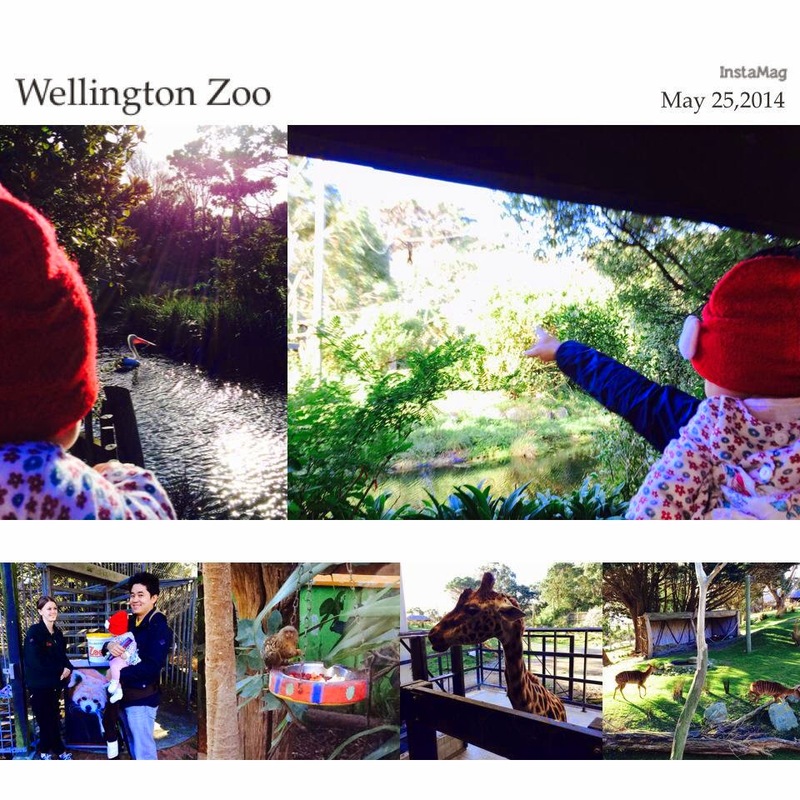 "We're goin to the zoo, zoo, zoo..."
Wellington Zoo is very different from the Singapore Zoo. Area wise, it felt a lot smaller, although the animal displays were by no means any less impressive. It was just a pity that the weather was far from being the best. Wellington has been hit by strong winds of 140km/h throughout the weekend. That kept some of the animals away from their usual parading grounds. 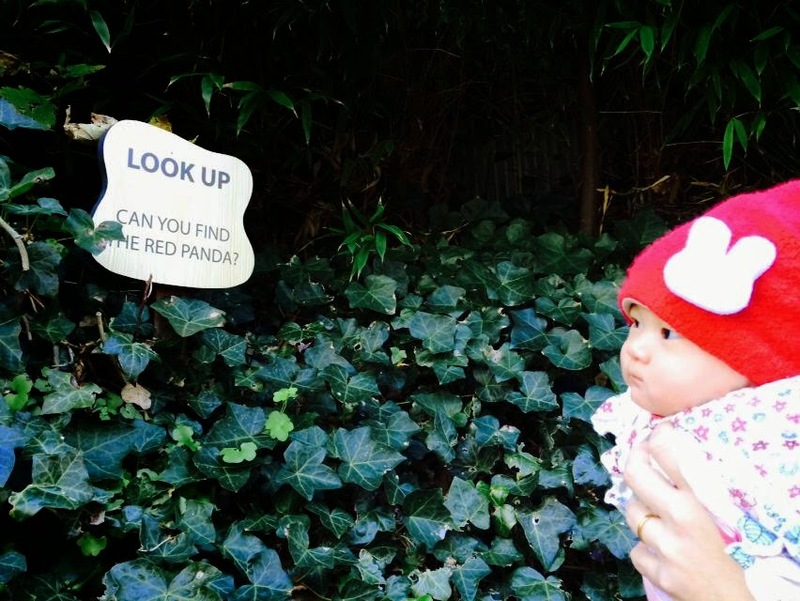 Kate was very well behaved on her first field trip to the zoo. She must have been wondering where we were because she had that curious look on her face the moment we got there, constantly looking around. I don't think she has ever seen so many people in Wellington at the same place and time. "The only red thing is me!" 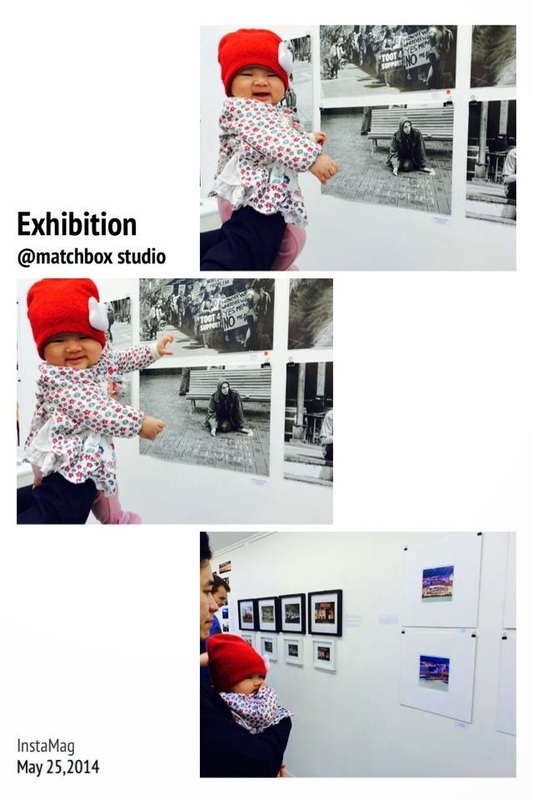 We also dropped by Matchbox Studios along Cuba Street to support Shufen, who was participating in ten minute potrait sessions. To draw a potrait of a stranger in ten minutes certainly requires a lot of talent and skill. She has definitely got both and you can view more of her work here. We thought about a family potrait but ten minutes of posing(not moving) and an awake Kate didn't really match up. Maybe, next time. On another note, we reckon Kate may have taken a liking for art too, judging from the smiles that we got from her as we walked through the exhibition. What do you think? 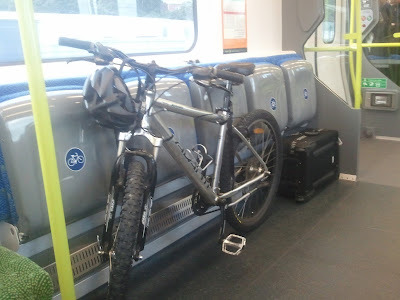 Once we got our sparkling blue stickers in the mail, we sold the car, quit our jobs, packed our bags and moved to New Zealand, arriving at Wellington airport with just a backpack, suitcase and bicycle each. It was a bold move but we didn't really give much thought to it. We just knew that we should at least give it a shot. Like the old saying, never try never know. Besides, if things don't work out, we'll just come home. It was not all spontaneous though as we still did arrive with a plan of some sort. Our focus from the get go was always about settling our accommodation and securing a job. 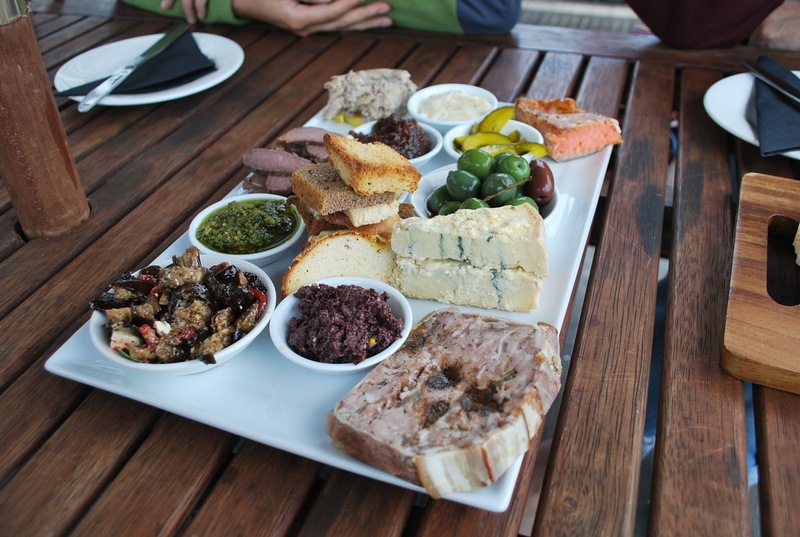 Having friends in Wellington was a good start. 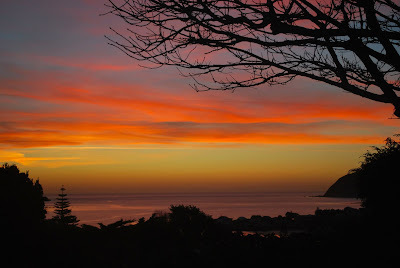 We were fortunate to have known some friends who were already based in Wellington and they gladly offered to take us in when we first arrived. For the first two weeks, we bunked in their living room while slowly finding our feet on New Zealand soil. Prior to leaving Singapore, we had contacted two hosts from Helpx. Helpx, also known as Help Exchange, is an online listing of host organic farms, non-organic farms, farm stays, home stays, ranches, lodges, Bed & Breakfasts, backpackers hostels who invite volunteer helpers to stay with them short-term in exchange for food and accommodation. On average, 3-4 hours work is expected and exact working hours are flexible depending on hosts. For instance, we could work in the morning on some days or afternoon on others. This arrangement was ideal for us as it allowed us to schedule interviews during our job hunt, while working for food and accommodation. We planned two weeks each with Moana Lodge, a backpacker hostel, and a home stay with wonderful hosts, now good friends and dim sum buddies, Niels and Janette. In our opinion, Helpx is a really good way to start for anyone new to the country. 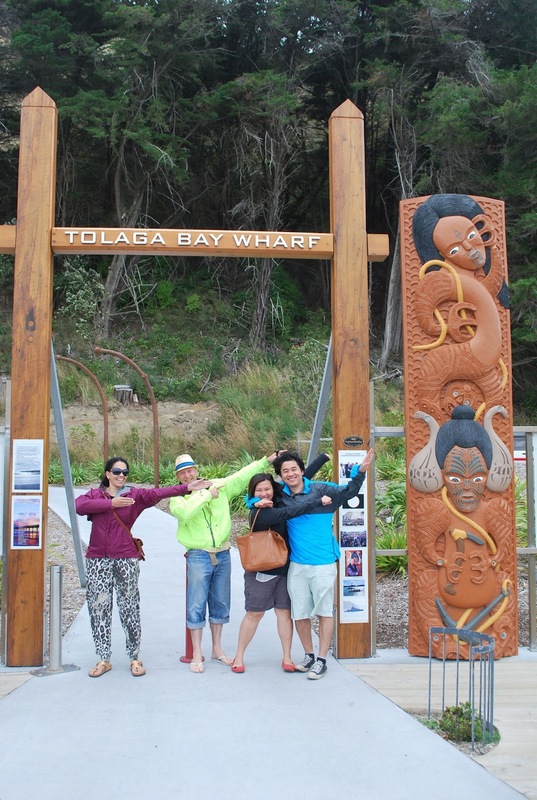 It's a great and effective way to know more people, especially locals, build relationships and gain valuable experience about living in New Zealand. We have made so many friends, many of which we still keep close contact with and learned so much from our stays. By working for your food and accommodation, it is also a good way to manage your checkbooks. How we started, we had secured six weeks of accommodation without taking too much out from our kitty. With so much uncertainty, we were living in the moment, day by day, one step at a time. Faith played an important role for us as well. I remember visiting church often and keeping our faith with constant prayers. Keeping a positive mindset was also extremely important. Any plans made were short term and things were always changing. I remember how close we were twice to committing to rent, only for better options to arise at both times. The first was when Moana Lodge offered us to stay on for another 6 weeks to help run the place while the owner had to go away for a knee operation. The other time was when Janette recommended us to her neighbors who were going away to Europe for four months, to help them look after their property while they were away. One thing led to another and we ended up house sitting for Robin and Russell in their lovely home for four months. They even left us both their cars to use. Up to this day, we count our blessings and are still amazed by how things have worked out. Surely there was divine intervention. In a nutshell, adopting an open and positive mindset is certainly crucial when you first arrive in a new country. Things may not always go according to plan and you must always be ready to make changes. Staying with friends, volunteering with Helpx and house sitting arrangements are great ways to secure accommodation. We're not saying that it will definitely work for you, but it did for us and who knows, it might for you too. 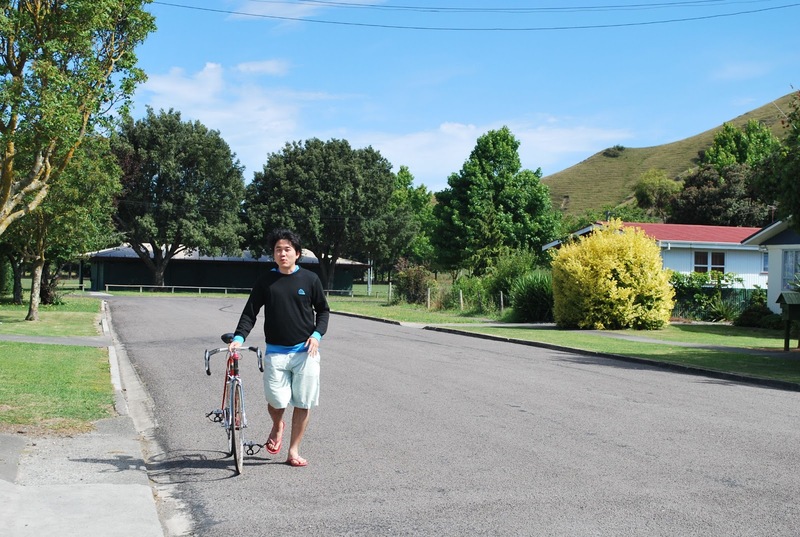 Time flies and in a blink of an eye, it's been more than a year since we moved to New Zealand. In the past year, we've been asked on numerous occasions how the relocation process was like. So, I thought it might be a good idea to share our journey and for anyone out there thinking of a similar move, this might be worth reading. 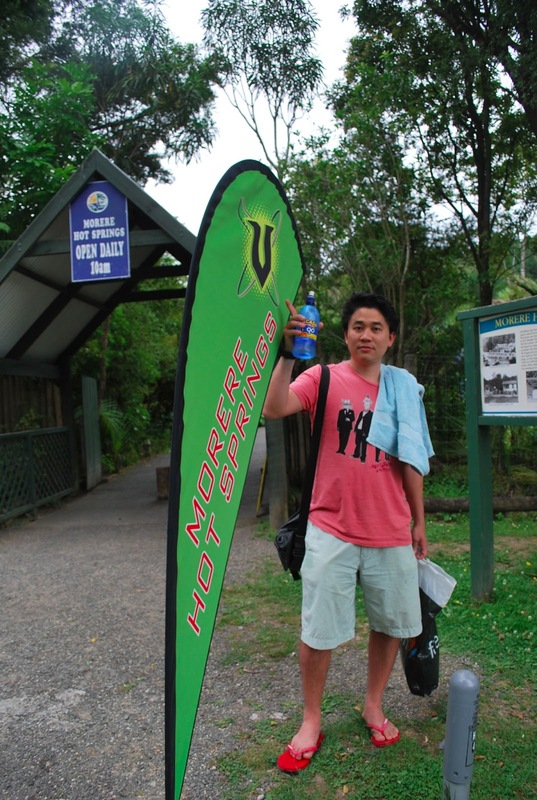 It all started in 2010 when there was a campaign run by Immigration New Zealand (INZ) attracting Singaporeans to work and live in New Zealand. We were always fascinated with the idea of working and living abroad, ever since we spent a good three months away from home in Australia together. 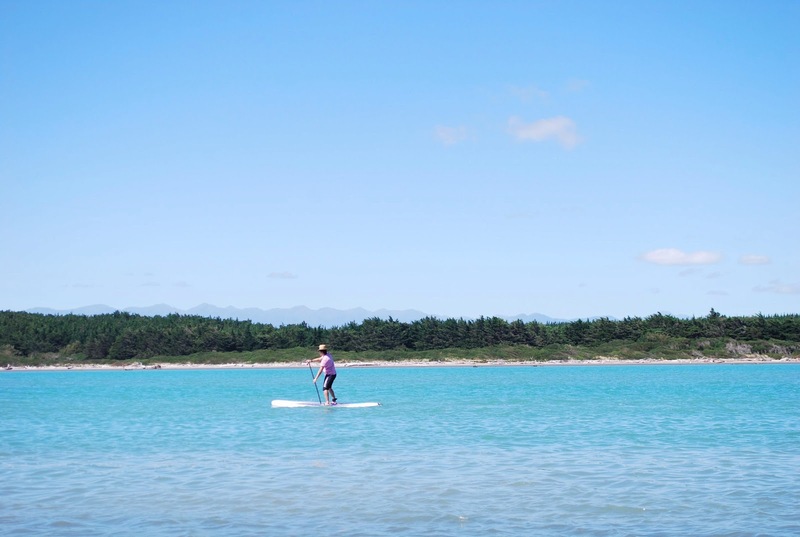 From the campaign, New Zealand promised a better work and life balance and we just thought why not? Still, migration was a big move and we haven't been to New Zealand before, so we were very keen to experience the culture ourselves before making any decision. We booked flights for a holiday in New Zealand, spent two weeks exploring and embracing the culture and absorbing every minute of our time there. It was all good. Prior to our New Zealand holiday, we attended a seminar run by an independent immigration agency held in Singapore. We managed to speak with an immigration consultant to figure out our options. Because of what I do, we concluded that the best approach for us moving forward was to apply via the Skilled Migrant Category with me as the primary applicant, as my occupation was on the Long Term Skill Shortage List (LTSSL). From then on, we were presented with two options. Option A - Apply through an immigration agent who will charge you a five figure fee but handle all your paper work and prepare you for the interview process (more about this later in the entry). Or Option B - Apply directly on the INZ website, paying only the compulsory application fees but handle all our paper work and prepare for the interview by ourselves. Being the adventurous (cheapskate or practical) us, we decided on the latter. And so it began. The Expression of Interest (EOI), is an online application form that processes your application against a set of criteria like your education, age, character, work experiences, language spoken etc, and scores it against a points systems. The minimum score required for an EOI to be placed into a pool for consideration is 100. Every fortnight, a predetermined number of EOI are picked from the order of highest score. Unpicked EOI remain in the pool for up to three months before being removed. Our score of 130 was selected within two weeks. 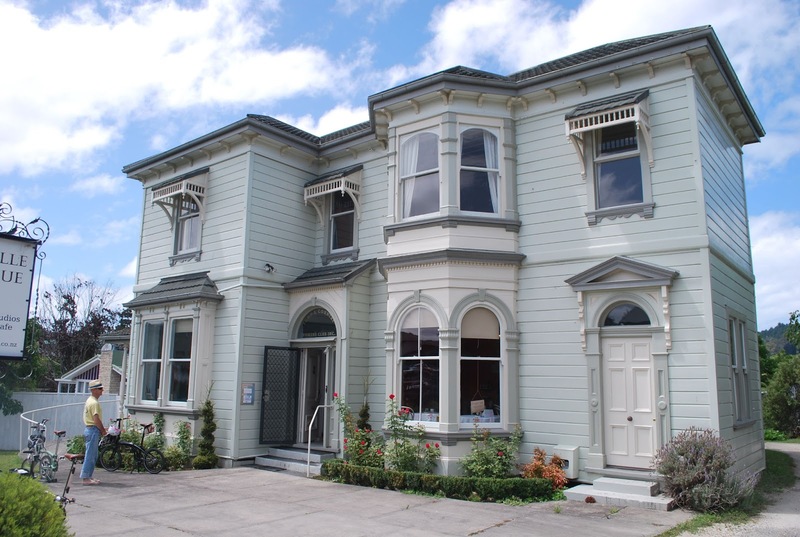 We were now invited to apply for New Zealand Residency under the skilled migrants scheme. The Invitation to Apply (ITA), is a set of application forms sent to you from an INZ office. Our ITA was processed by the Bangkok office. Unlike the EOI which can be completed online, the ITA required us to send over copies of a list of supporting documents to validate the information we provided in our EOI. We had to provide our passports, education and marriage certificates, as well as employment letters, phone and utility bills. I also remember us making countless trips to the lawyer's office to get our documents stamped, going to the Police headquarters at Cantonment Complex to get proof of us being good citizens and undergoing a full medical check up including X-rays and blood tests. We were given 3 months to gather all the required documents. Our advice will be to start early and not leave things to the last minute. Certain steps like the health checks and police certificate will require processing time. After submitting our ITA in February 2011, we were at the stage we call the waiting game. A Case Officer (CO) will now be assigned to process our application. From now on, he/she will be the main point of contact for all matters related to our application. The CO will go through all the supporting documents and decide if we are who we say we are. This might include reference checks with any previous schools or companies included in our application. 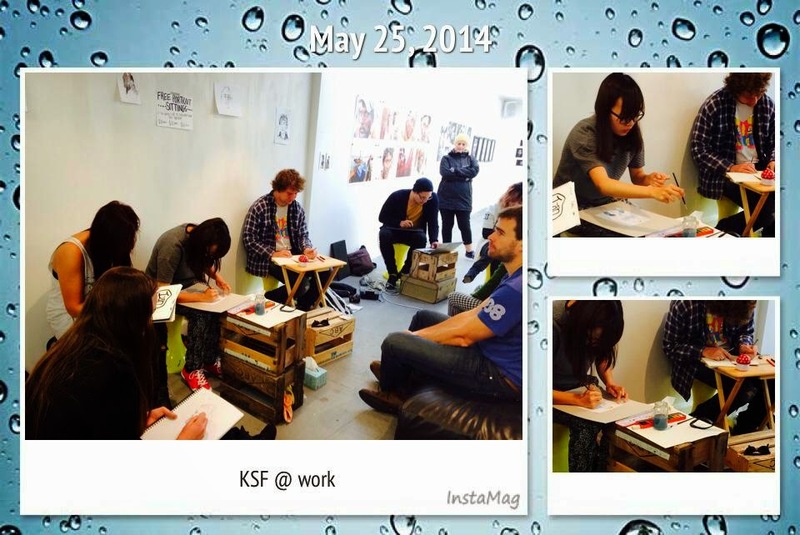 Our application from this point in time was taken over by the Shanghai branch. We call it the waiting game because there is a wide variation of known processing times before the next stage, also the final stage - the interview. We've known cases whereby applications have been processed for over a year, while others took only about 6 months. Ours took 7 months. Our interview was scheduled for September 2011. There are three outcomes from this final interview stage. Outcome A - New Zealand Residence visa issued. Outcome B - Work to Residence (WTR) visa issued. Outcome C - Application for residence rejected. C is rare, A is less common and B is the more likely outcome, especially for applicants who do not have an offer of employment in New Zealand. 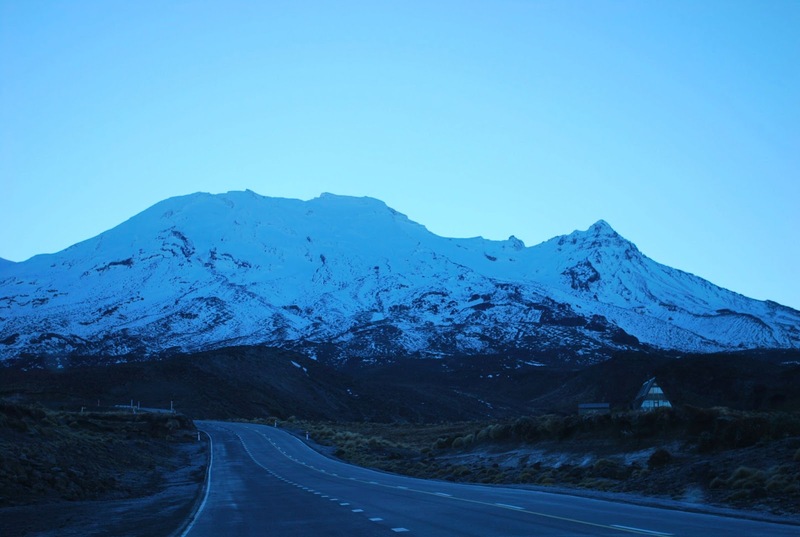 The difference between NZ residence visa and the WTR visa is that the WTR comes with a 1 year validity period. The 1 year period is for the applicant to arrive and land a job. Once he/she has successfully done so, he/she can then apply for NZ residence. Else, the WTR will expire and the applicant will have to undergo the entire application process again. Preparing for the interview is probably where an immigration agent earns most of his paycheck. While there is not much added value getting through all the paper work, tips for the interview can go a long way. Thanks to the internet, we managed to get very good tips from the good people at ENZ forum, people who have gone through a similar process before. The waiting period for our results were nerve wrecking times. Two months after our interview, we got our results. I remember my heart skipping a beat when I received the notification on my email. Accessing it from my mobile phone and scrolling to the section of the document on the tiny screen were the longest seconds I've ever known. When I finally got there, it read Approved in Principle. My eyes lit up, there was glee and a spring formed in my step. Yes, we did it! We have been issued New Zealand residency. It was the best possible outcome. The final step was to mail our physical passports to INZ and have our visas stamped. All in all, from the time we submitted our EOI to the time we received our residence visas, it took almost fourteen months. We had a year's grace to arrive in New Zealand from the moment our visas were issued and kick start our new life adventure. With the sparkling blue stickers now on our passports, it certainly didn't take us long to decide to uproot and take the leap of faith onto New Zealand shores. It was great catching up with our cycling khakis while we were back in Singapore last month. 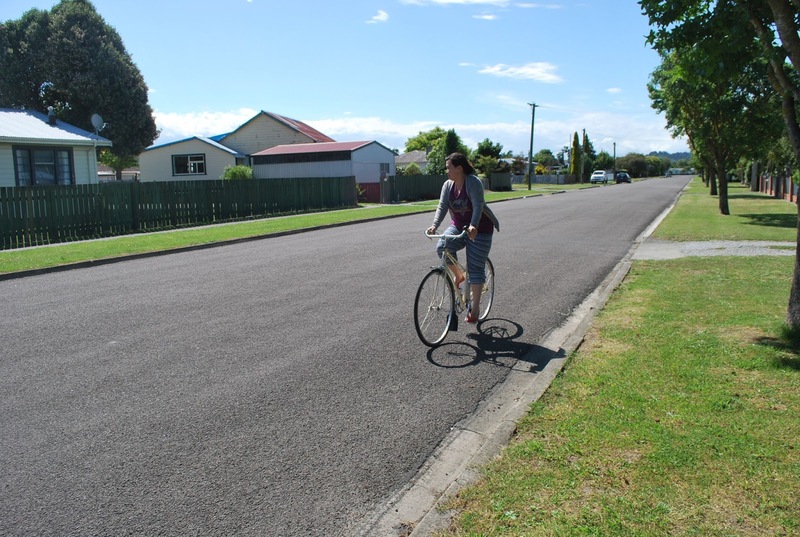 One of the questions often asked was how cycling in New Zealand like. My answer (very cliche I know), it depends. More often than not, we've found it an absolute joy riding in Wellington. Depending on which part of the city, there is quite an extensive design of cycle lanes or bike trails that provide cyclists a dedicated safe path on the road. 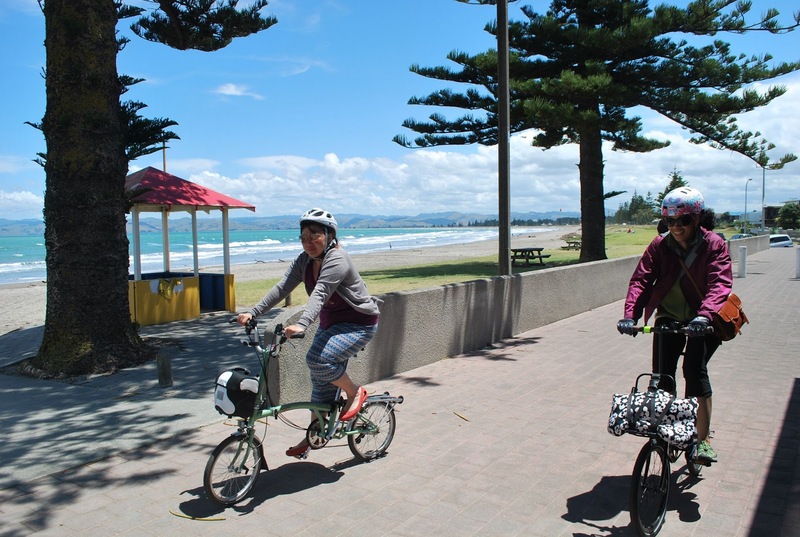 The Journey Planner is a wonderful resource for planning your cycling routes in Wellington. We were also very impressed with how much attention to detail was put into educating road users on New Zealand traffic laws and safe driving practices. Check out the Official New Zealand Code for Cyclists published by the New Zealand Transport Agency. 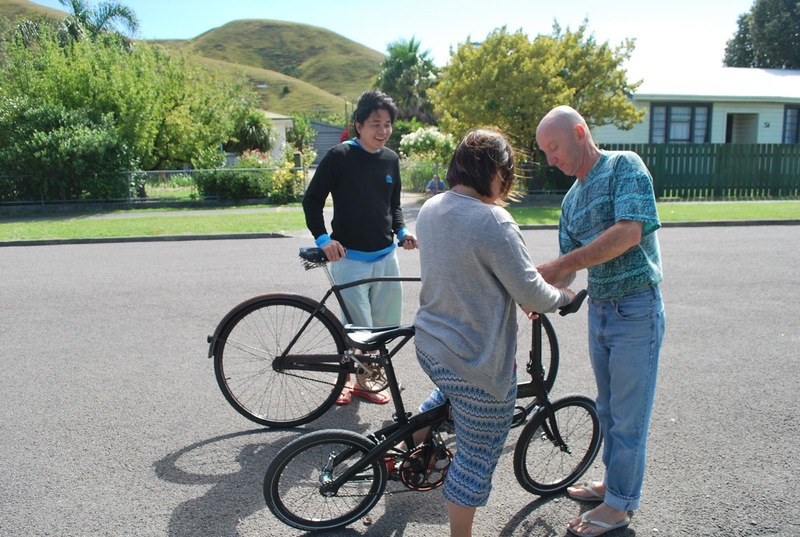 Cycling is a great way to get around and a sport enjoyed by more than a million New Zealanders. 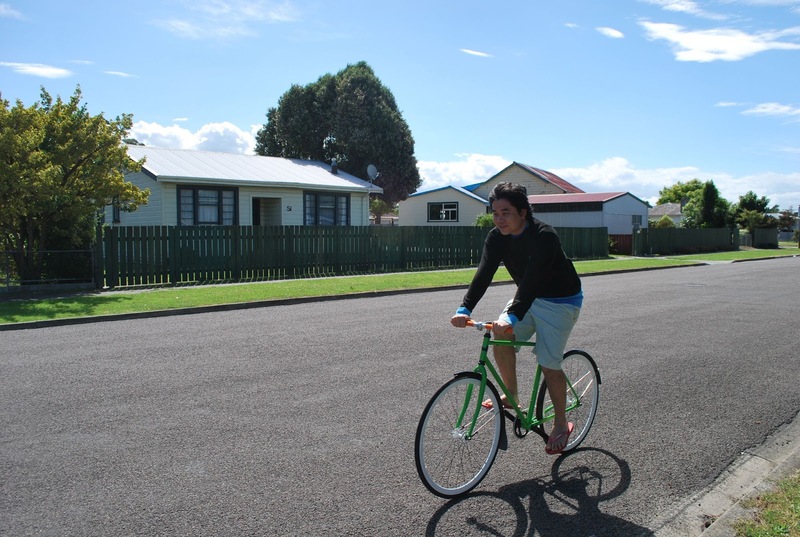 If only three in 100 people took up cycling instead of driving, New Zealand would save more than 1 billion dollars per year! Cycling is the pollution solution that improves your health, increases your productivity at school or work, and enhances the safety of your community. Every time you ride, you have an opportunity to contribute to a cycle friendly culture. It is important to ride with courtesy and respect for all other cyclists and motorists. Make sure you are visible at all times and clearly show your intentions. Thank other road users when you can. For example, let them know you are happy they waited for you by waving, smiling, or giving them a ‘thumbs up’. This will make sharing the road easier for everyone. Practise your skills, take care of your bike, follow this code and enjoy a lifetime of cycling through beautiful New Zealand. The public transport system here is also very supportive of bicycles. 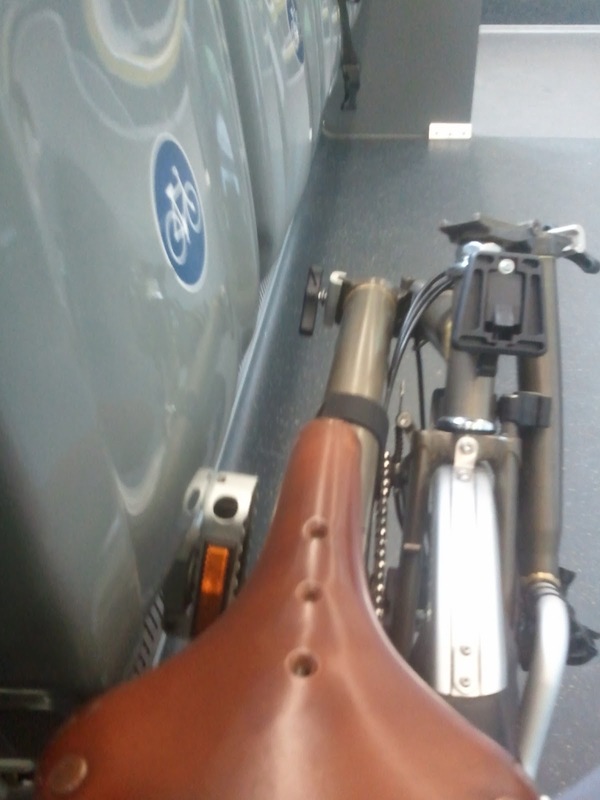 Foldable bicycles are allowed on all buses and trains at any time during the day. Full size bicycles are not allowed on buses at all times but allowed on trains during off peak hours and certain timings during peak hours. The last mile concept could work very well here. I especially like the bicycle priority area. When there is a bike on board, the chairs make way for the bike. Coming from Singapore, that's a sight we're not used to at all. So what's stopping us from getting on our bikes more often? The climate and terrain. 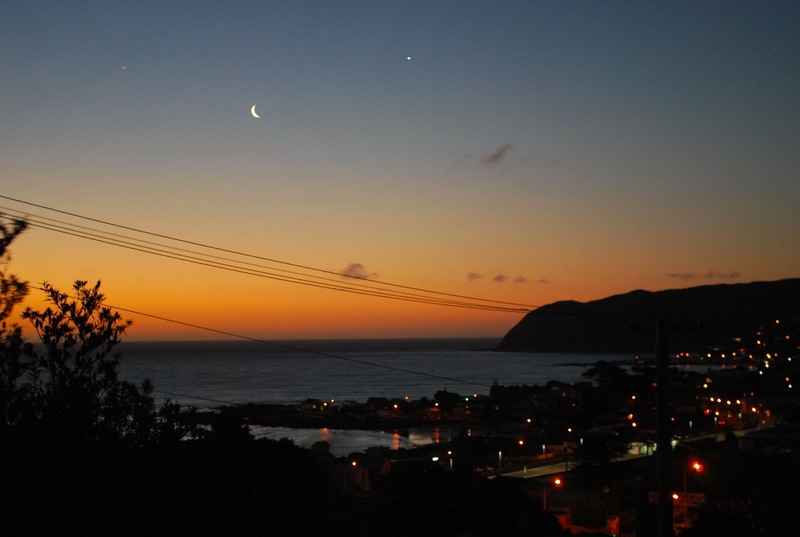 If slopes are friends, Wellington is a very friendly place. Windy Welly did not get her nickname for nothing. Winds can go up to as high as 100km/h and the occasional cold prevailing southerly wind does make you think twice about taking your bike out. While the cycle lane network is rather extensive, certain parts of the city still do have very narrow lanes. Couple that with impatient drivers, it's not the most ideal for safe cycling. Honking at cyclists while less common here, still do exist! I've seen it. At the end of the day, it's about being safe and enjoying your ride. 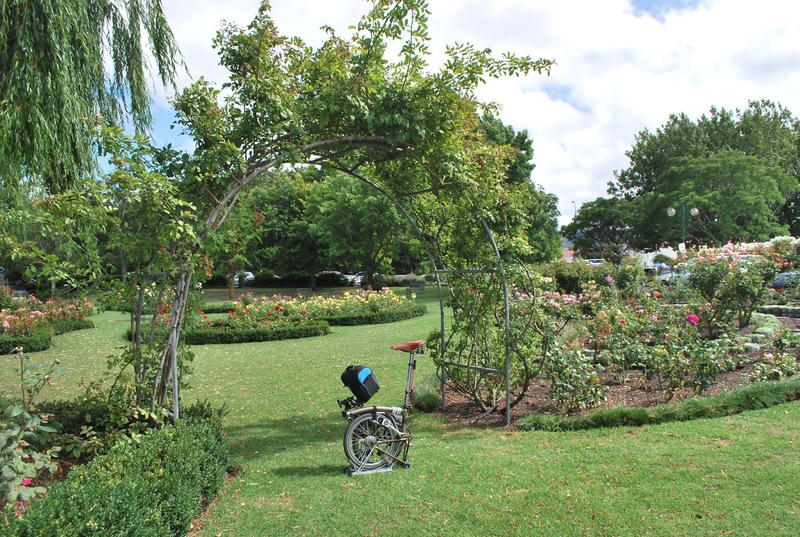 New Zealand can certainly be a wonderful place to cycle in, you just have to know where and how. With a fervent wave and both arms wide open, Tim greeted us at the driveway. “Welcome!” Tim said. It was a wonderful feeling to be greeted by our hosts for the next few days. “We finally made it!” I said. “Come on in.” Tim replied. As our car was parked in front of Tim’s, I asked if it was ok for us to park our car here. “You’ll be alright there, don’t think we will be using much of the car.” Tim replied. That was a sign of what was to come for the next few days. They had a beautiful home made out of logwood. 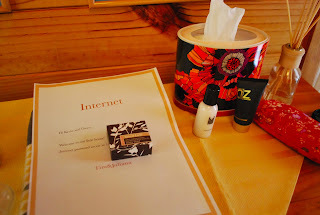 We were given the grand tour and were greeted with a pleasant surprise in our room. “How cool is this!” Gwyn exclaimed, holding up a piece of invite that welcomed us and displayed the internet code. “We must do this for our visitors as well”. 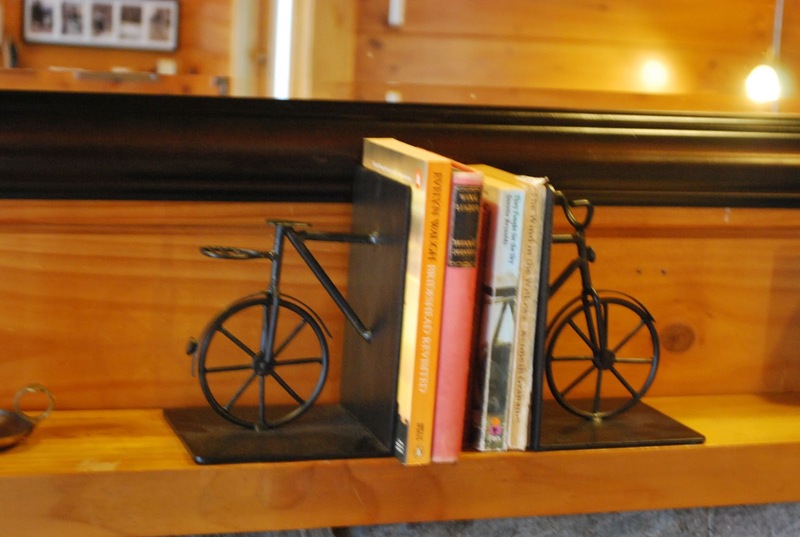 As both Tim and Juliana are ardent cyclists who commute daily by bike, we thought it was a good idea to get them a bicycle bookend that we stumbled across in a shop at Napier. 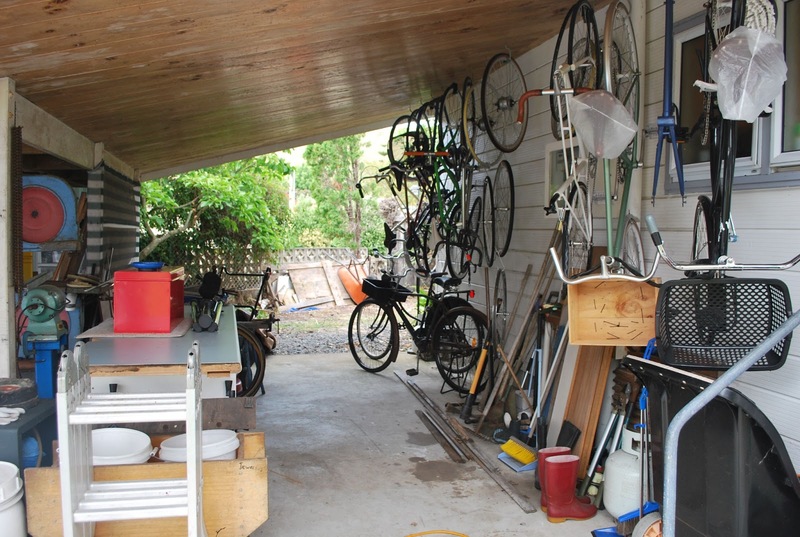 Tim’s passion for bicycles was evident when he showed us his workshop or should I say playground. There was a handful of bikes mounted on the wall and a cabinet with all the necessary tools to dismantle and rebuild a bike. 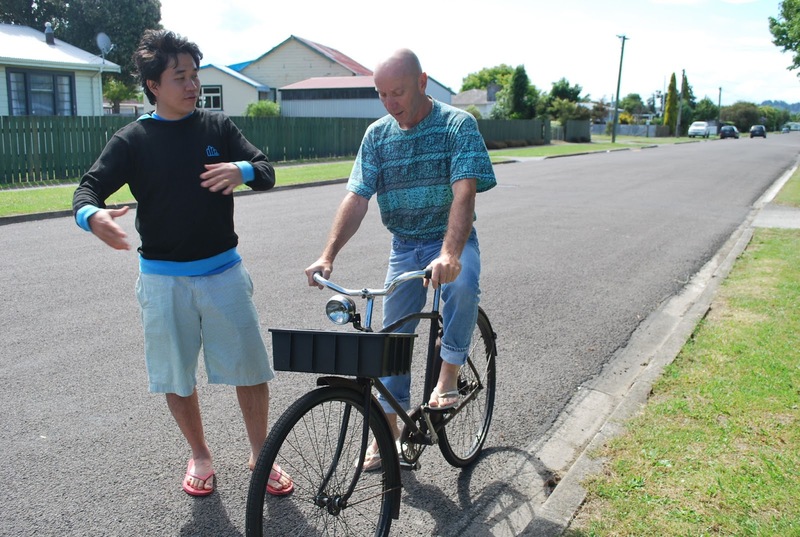 Tim was a techie who could assemble a bike on his own. He is also one of the few talented individuals who could restore scrap and give it new life. 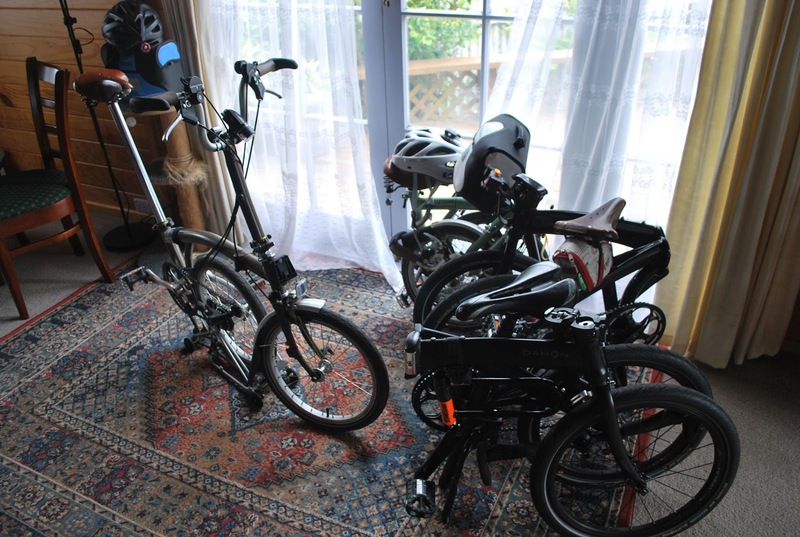 The next day, we were lucky enough to try out the range of Tim’s arsenal of bikes. Gwyn went on a Peugeot lady’s bike which offered a very upright riding posture. 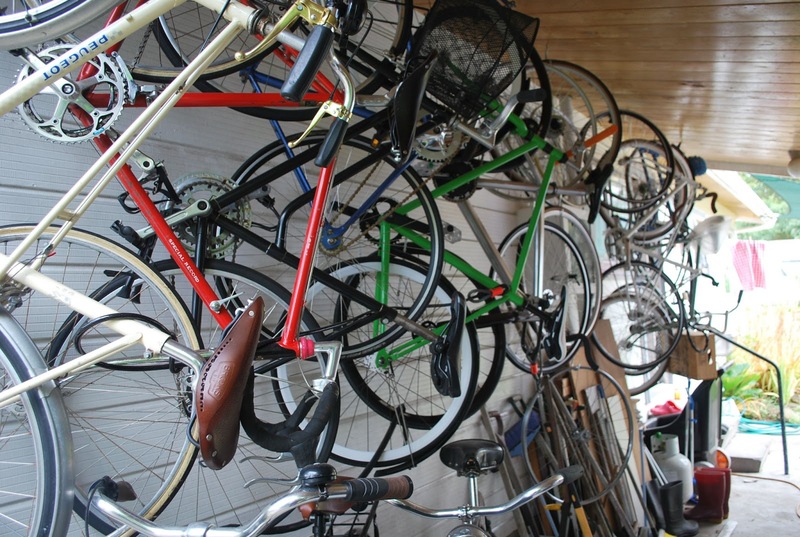 Next along came the single speed and fixed gear bikes. 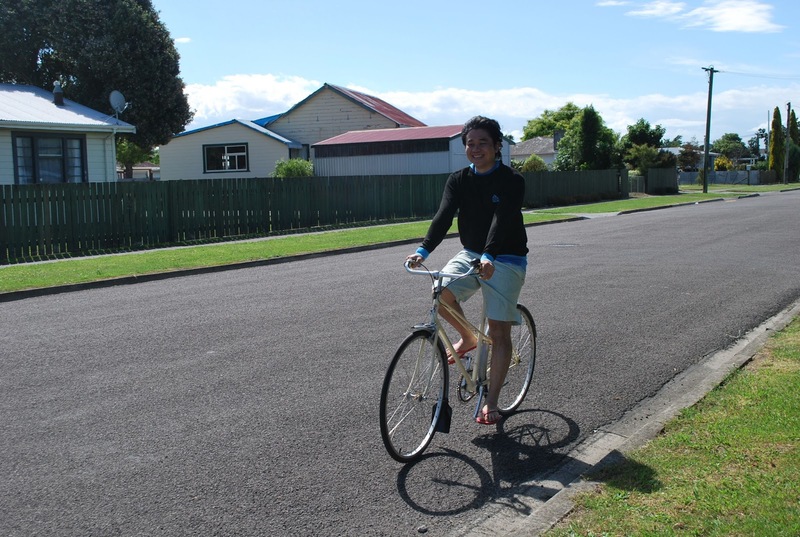 It was my first time riding a single speed and the experience was quite uncertain at first. I wasn’t sure how to handle a bicycle without breaks on the handle bar. It took some time understanding and adjusting to the way single speeds work but once I did, they were a joy to ride. "So this is what they call the fixie fixation"
While Tim was the bike techie, Juliana was the master chef in the kitchen. Her BBQ Portuguese chicken was so tasty, we were immediately thinking of recreating it on our own. We were also introduced to a healthy new form of breakfast - rolled oats with nuts soaked in milk overnight and served with cornflakes and yoghurt the next morning. 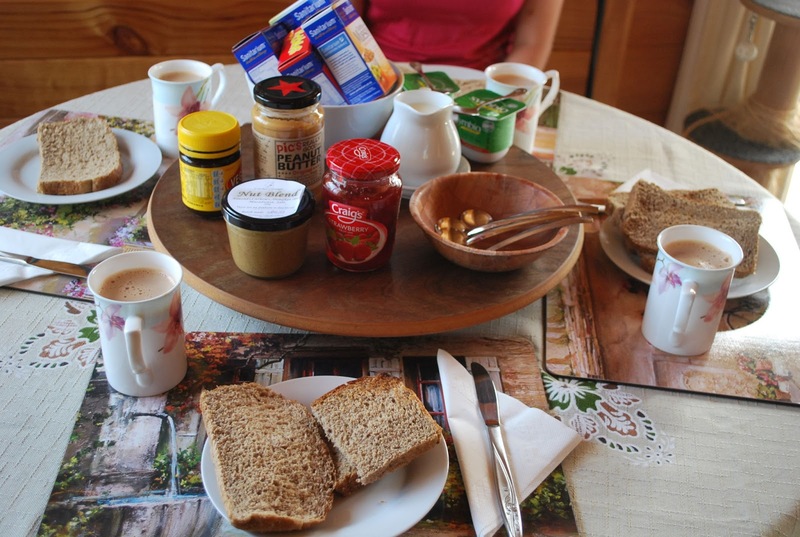 Juliana, you'll be glad to know that we have successfully adopted this breakfast as part of our daily regime. The following few days would be led in the true ERP spirit of LCSG. Eat, Ride Photo. We had a blast, all thanks to our wonderful hosts, Tim and Juliana. Already in the pipeline are plans to return later this year. 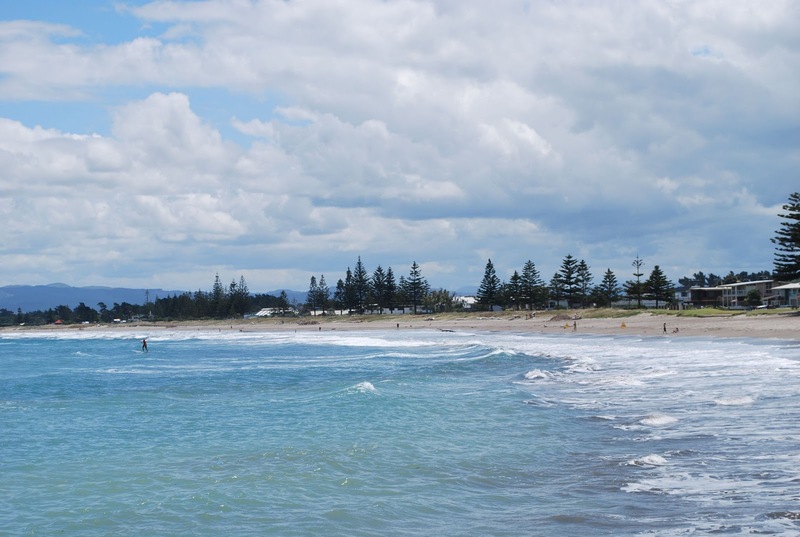 Gisborne, we love you! 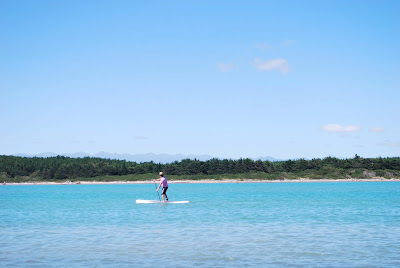 For Gisborne Getaway Part I: The Road Trip, click here. 3 weeks of year-end holidays was a blast. It’s not something we’re accustomed to but it certainly did not take us long to get use to! 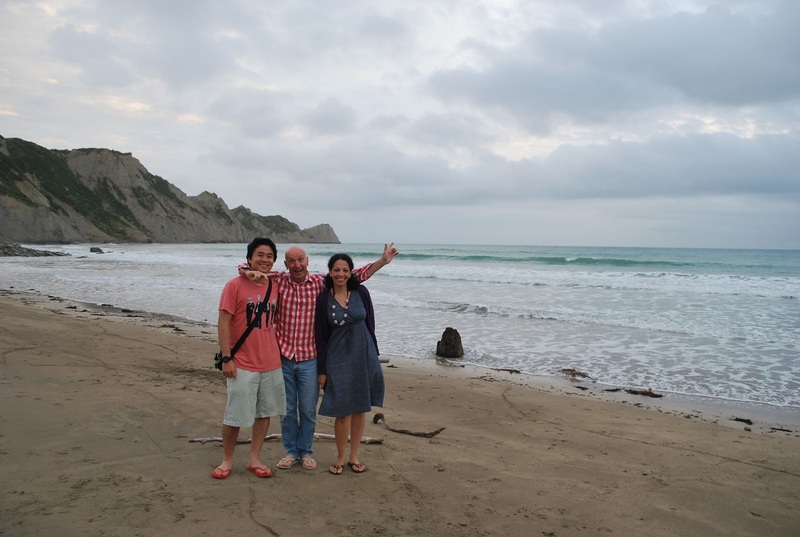 We decided to pay our friends, Tim and Juliana a visit in Gisborne. We were greeted with the warmest welcome at Tim & Juliana’s. The hospitality we received was off the charts, so good that it would have topped Lonely Planet’s number one by a mile. Gisborne is a small city located off the east coast of New Zealand. 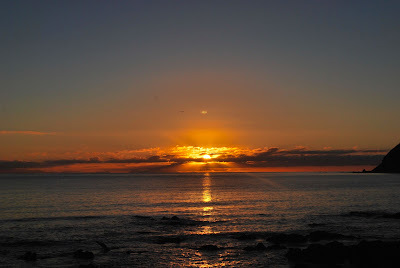 It is located on the north island and is about 7 hours drive from Wellington. Because of the way Gisborne is sheltered by higher terrain to the west, it gets heaps of sunshine throughout the year, especially summer. The climate is also generally warmer as compared to the rest of the north Island. Somewhat, like a sun catch area of the north island. 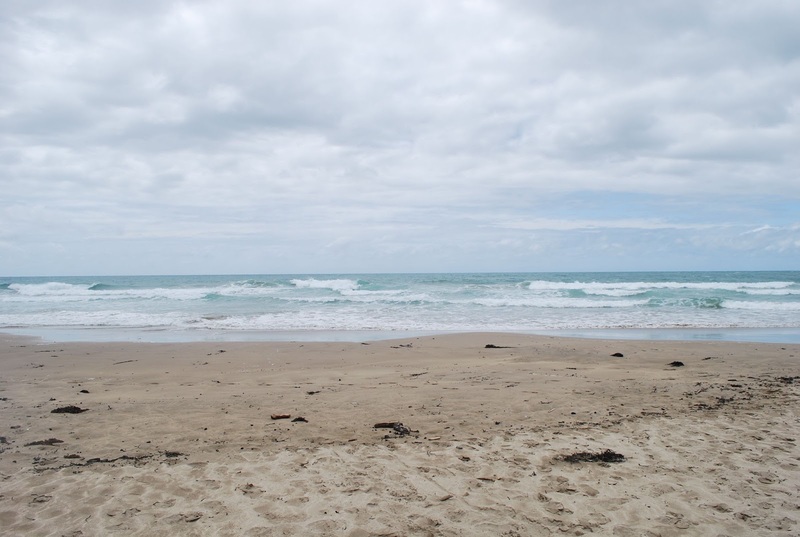 For our readers planning a similar road trip, we broke the drive up from Wellington to Gisborne into 2 phases which worked out very well for us. Phase 1 was from Wellington to Napier which took us about 4 hours. 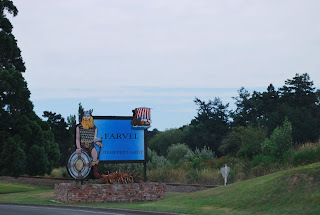 Apart from a 7 km no passing, bendy drive on State Highway 3 (SH3) along the gorge from Palmerston North to Woodville which can be tricky in wet conditions, the journey to Napier was an easy and pleasant drive. 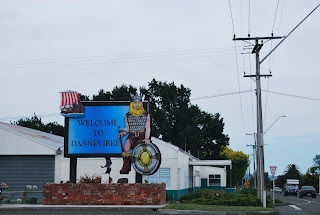 It’s quite interesting too, stumbling upon the towns of Woodville and Dannevirk along the way. 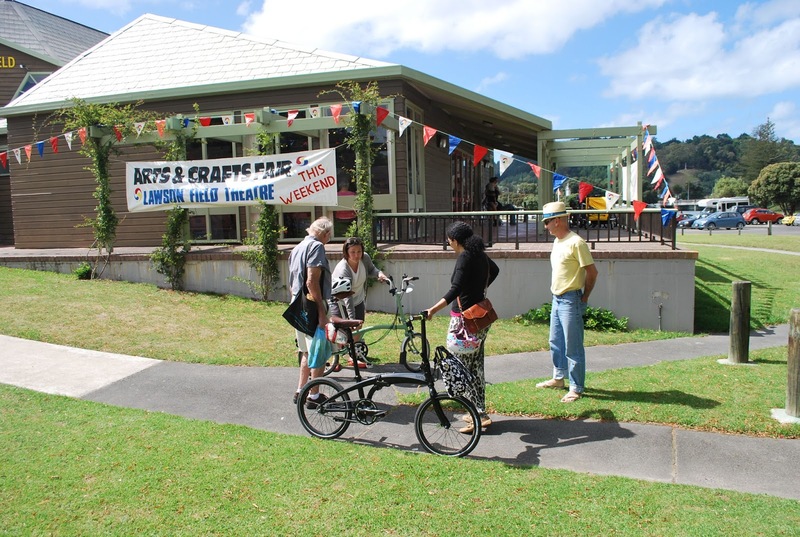 For those into antique and vintage collectables, there are lots of antique / 2nd hand shops along the main stretch of Woodville. 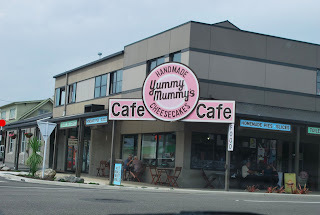 For the food junkies like us, there is Yummy Mummy – handmade cheesecakes that everyone must try. You can’t miss it as it’s just along the SH. They have an assortment of flavours and we went for the strawberry cheesecake. It was damn good. 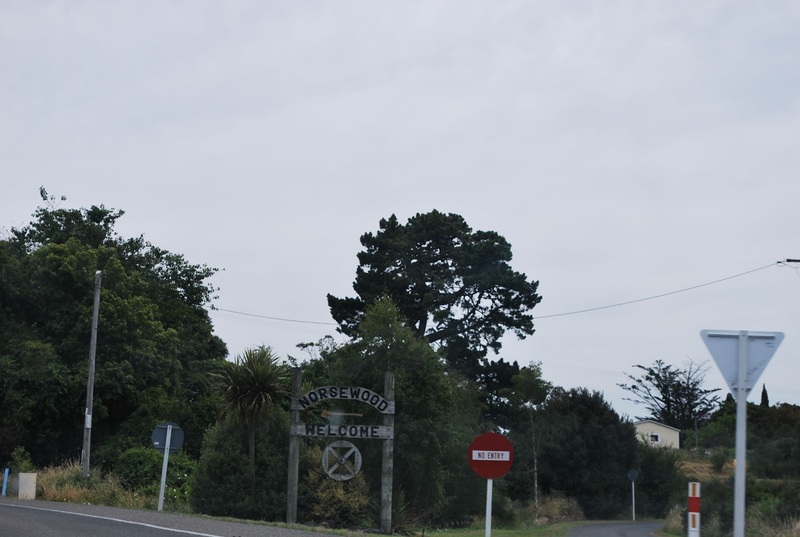 In Maori history, it appears that Woodville was a traveller’s preferred rest point. We can understand why. 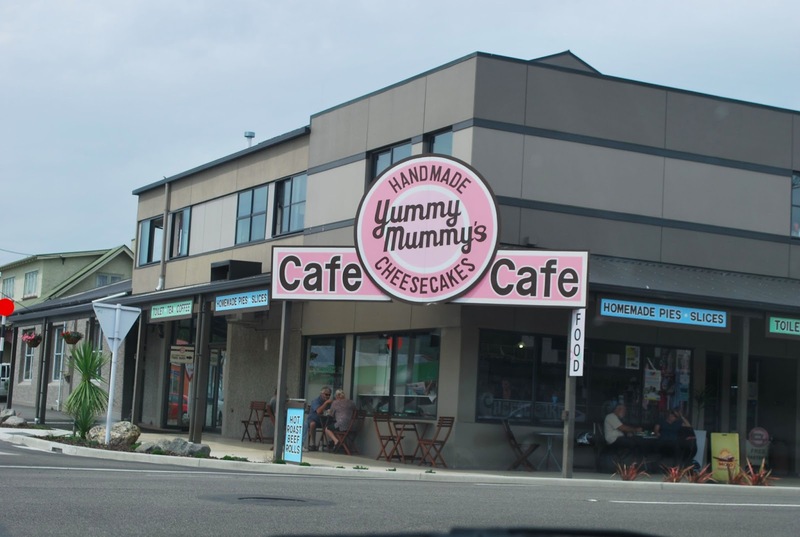 Located at a crucial intersection between traffic from Wellington, Palmerston North and the East Coast, it’s the perfect rest spot. We had our first mini break at Woodville and you’ll be pleased to know that the public toilets are very clean too. Dannevirk is a real interesting one. Coming into Dannevirk, we were greeted by numerous Viking posters that puzzled us. 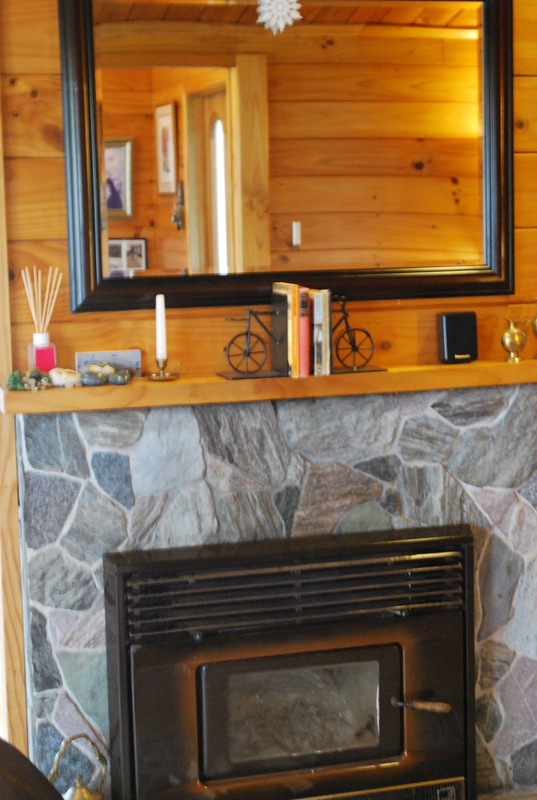 It turns out that there is a large Scandinavian influence in the area, dating back to the 1870s. Early settlers from the Scandinavian nations, namely Denmark, Norway and Sweden built their homes around the area. 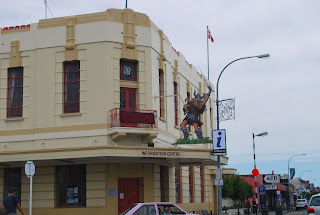 Today, there are many Kiwis in the area that have Scandinavian ancestry. The climate seemed cooler and wetter, as compared to Wellington. We heard that this was the way the early Scandinavian settlers liked it. Scandinavian heritage was evident en-route to Napier. We arrived and stopped in Napier just in time for lunch. Napier is the next biggest city after Palmerston North en-route to Gisborne. Our first impression of Napier was that it was quite a touristy area. There were lots of tour buses and visitors. There also seems to be an unofficial dress code for Napier. The locals were quite well dressed for New Zealand standards. The atmosphere was quite “chi-chi” or “atas”, which is quite uncommon in New Zealand. Frankly, we did feel a bit underdressed with our flip flops and casual tees. There are several Art Deco architecture around the city that would make every photographers focal point. 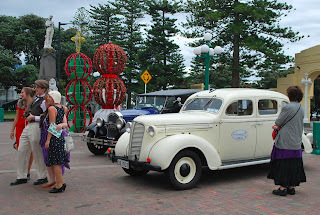 Napier, art and deco capital of New Zealand. Phase 2 was the drive from Napier to Gisborne that took about 3 hours. The drive from Napier to Gisborne is not the most pleasant. There are lots of sharp corners and narrow roads. The distance is a lot shorter but time taken was much longer because of the very tricky and windy bends along the way. You know you’re in for a treat when you find a bend named the Devil’s Elbow on the map. Ironically, there are also a lot of heavy vehicles that patronise the route and it doesn’t help when you have an impatient tailgater hounding you. It’s important not to feel pressured and go at your own comfortable and safe pace. Stop at the side and let the vehicles past you if necessary. Coupled with wet conditions, we navigated the course slow and easy and got there in the end. The perfect stopover after the challenging drive was Morere Hot Springs, thanks to the hot tip from Tim. No better way to wind down from the endless windy roads than to soak oneself in a hot spring pool. It’s amazing how 30 min in the pool can rejuvenate the mind and body. “Feels like I just came out from a massage”, Gwyn. 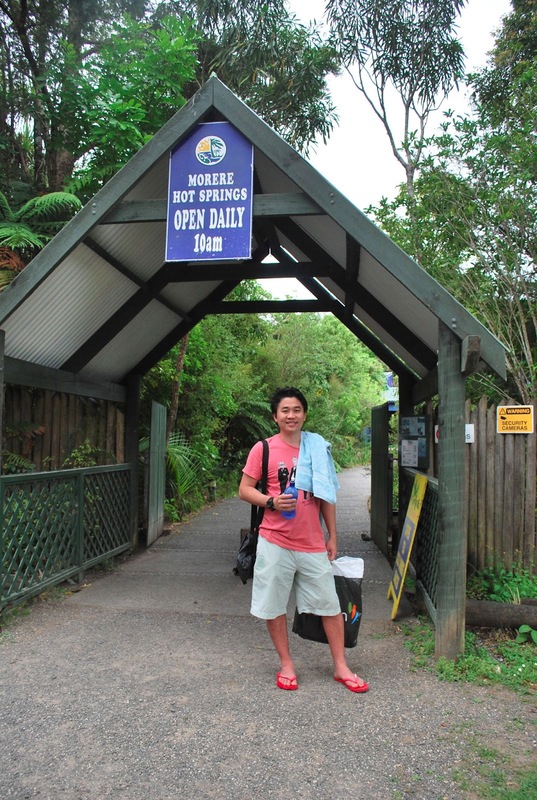 "Everyone should stop over at Morere Hot Springs after the Devil's Elbow and that long drive"
"Hot spring effect better than V"
Re-energised, we made our way to Gisborne where we were met with the warmest of welcomes from Tim & Juliana. It proved to be the start of what would be a wonderful week. 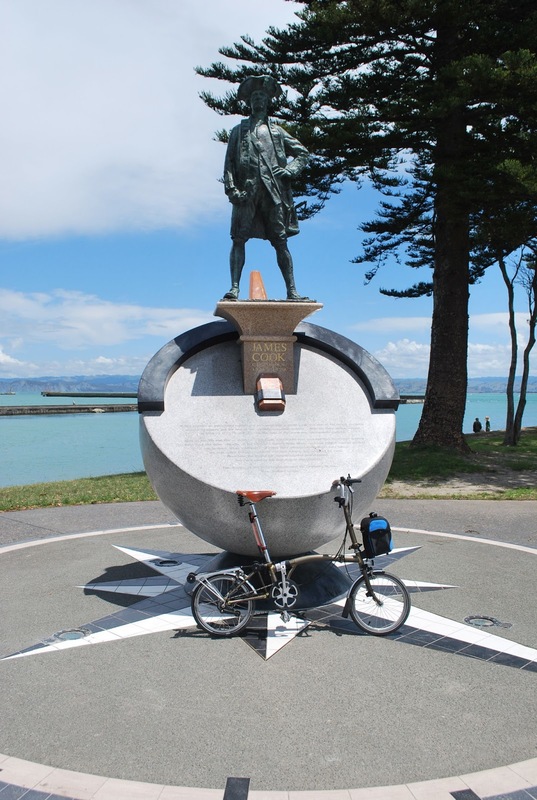 For Gisborne Getaway Part II: Have bike will travel, click here.